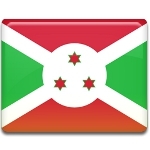 Burundi gained independence from France in 1962, establishing a constitutional monarchy. Both the Tutsi and the Hutu peoples were represented in the parliament, that only contributed into political instability and ethnic tensions. The ruling King Mwami Mwambutsa IV was deposed by his son Prince Ntare V in 1966. The second coup was made on November 28, 1966 and the Tutsi Prime Minister Michel Micombero overthrew Ntare. Micombero abolished the monarchy and proclaimed Burundi to be a republic. After the proclamation of the republic Micombero imposed a military regime, that lasted till 1976. There were numerous attempts to depose military regime by opposition. For now the political situation in Burundi is stable. People celebrate Republic Day to commemorate the day when Burundi became a republic in 1966.